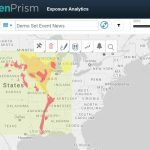 Quick links are provided to subscribers for one-click access (the link will overlay the footprint on your exposures). The NOAA post event imagery currently contains images for 2 areas; from Englewood south through Naples to Marco Island, and Key West. As new areas become available, the images will automatically be updated in EigenPrism. 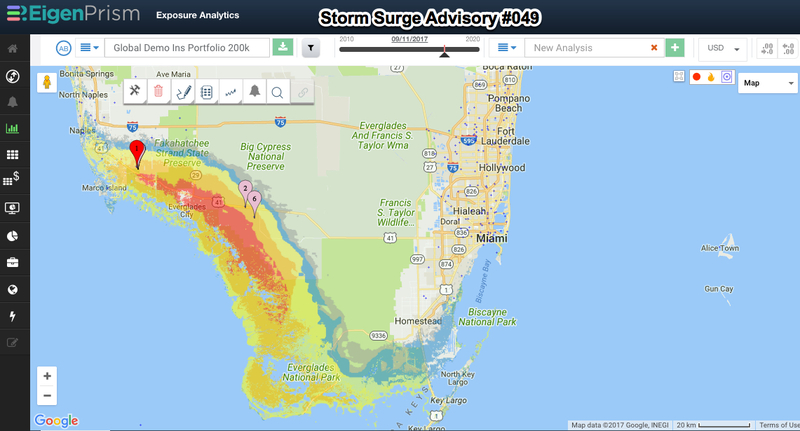 As the event unfolded, both the storm track and the expected amount of storm surge underwent significant changes. As Irma moved closer to landfall, the area covered by the Advisories changed and the estimated loss metrics for the demo data set increased. 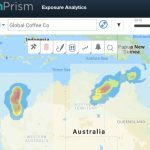 The increase was driven by both the number of locations and the value per location within the Advisory footprints; the location count doubled while the estimated ground up loss increased by more than 60%. *Flood extent maps do not provide flood depths. 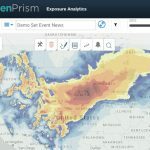 To analyze using flood depths, the JBA flood footprint is available within EigenPrism; please contact prism.support@eigenrisk.com to arrange your access with JBA. JBA Risk Management is a leading provider of natural hazard modelling services. The firm was named London Market Risk Modeller of the Year (at the 2017 Reactions London Market Awards) for their pioneering approach to flood risk assessment.